If you already are either a shungite enthusiast or a newcomer to the magical world of shungite healing and protection, sometimes you can find yourself in need of more structured, well-organized information about shungite stone. Every now and then you may require either comprehensive in-depth knowledge on every nook and cranny of this mineral, or just concise right-to-the-point data that will help you or guide you in the certain moment. We stumbled upon some useful books you can easily find and buy online, that can help you to determine why you need shungite in your life, to choose shungite items correctly and to learn more about the pieces you already have. Thus, we present to you small insights into some of these books, so you could decide on the proper one. Regina Martino is a French researcher in the fields of geobiology and bioenergy who specializes in stones and crystals. Moreover, she owns a crystal, stone and gem boutique called “La Roche Mère” (The Mother Rock). About 10 years ago she first learned about shungite and immediately was taken by its natural charm and energy. In 2014 she published book about shungite called “Shungite: Protection, Healing and Detoxification” in which she described in detail her personal experience with shungite, the history of exploration and research of shungite, its most famous properties and features, the ways it can be used in different industrial domains and its connection with other gems and stones. What the fullerenes are for which shungite is so famous and why they are so important, for example, in treating cancer or HIV/AIDS. Regina Martino also has a number of other books you can find online, for example, the large paperback simply called “Shungite”, containing much more useful information on this mysterious mineral, as well as colorful illustrations. Eduard Osipov is a Russian researcher in the fields of physics, chemistry and geology, who has largely studied fullerenes in shungite and has published several books on the topic of mystifications and myths around shungite and its properties. Mr. Osipov has a patent to his name on “the method of detachment of fullerenes from the carbon structure of shungite”. These books, that you can easily buy online, mainly focus on so-called “nanomatrix” of shungite (the unique structures of shungite fullerenes which makes it possible for shungite rocks to purify and transform water). 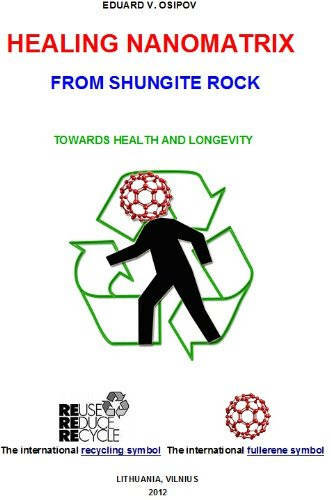 The first book, “Healing Nanomatrix from Shungite Rock”, briefly explores the history of shungite, its structure and its role in medicine, addresses its status in conventional and traditional medicine. Later, the author discusses some of the legends and myths that surround shungite, some of which are debunked in this book, but a number of them, however, are indeed confirmed. After that, the author explains in detail, how shungite stones manage to cleanse water, and goes to explore the nature of “nanomatrix”, which occupies the larger portion of the book. The main focus here is on the “nanomatrix” in the shungite powder, the peculiar properties of the “nanomatrix”, its healing abilities and its most impactful areas. The second book “Healing Shungite: From Mystifications to Reality” is a larger in-depth scientific study of nanocomponents in shungite and what positive properties it can bring to the table. Large chapters of this book focus on the uniqueness of shungite’s structure, the nature of shungite nanopowder and the process of its production. 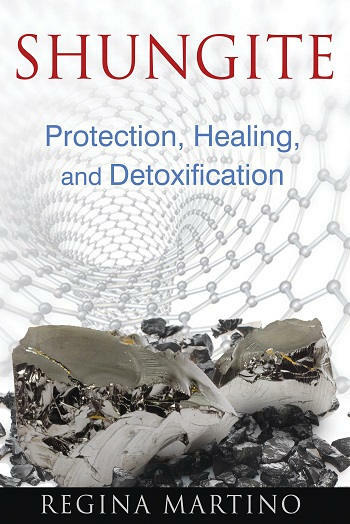 As the nature of this book is more scientific, the author researches in great detail the essence of shungite “nanomatrix”, fullerenes and their influence on water and the properties of water, infused with shungite. The large chapter in this book is dedicated to the environmental threats that you can protect yourself from with the help of shungite: air pollution, toxins in food, ion and electro-magnetic radiation, ultra- and infra-sounds. The author even goes further with the helpful tips on how to shield you from these threats with shungite. In the conclusion, the author notes, that, of course, shungite shouldn’t be considered as a panacea from all negative influences, but it sure can make your household and everyday life safer. This book is more of a quick guide in the world of shungite. 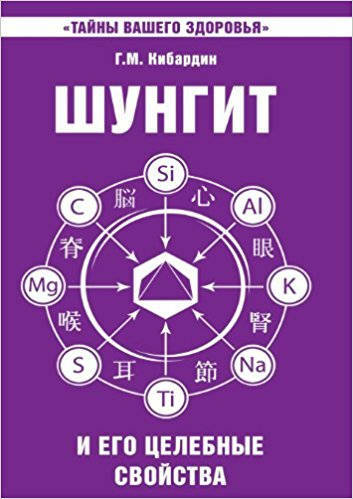 Written by Russian biophysicist Gennady Mikhailovich Kibardin, it is a great way to learn the crucial general information about shungite in a matter of hours. You can learn a brief history of the discovery of shungite and how it was used in Russia in the past centuries; it provides you with the information on the unique structure of shungite and its components, the modern researches of shungite and the new discoveries. 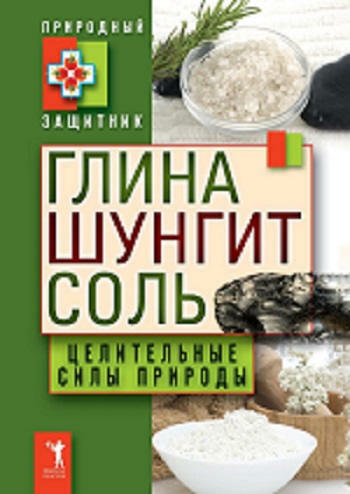 The large portion of the book focuses on the usage of shungite in different areas of life, for example, in medicine, its influence on water, both with healing and everyday-drinking purposes, in massage, influence of shungite over your pets and houseplants, and also the book contains useful tips for household decoration. In the end, the author says that shungite is a great means to improve your health and everyday life, but you should not forget about some of contraindications, which are listed by the author at the end. This book by French author Claudine Fontana stands out because, aside from useful general data about shingite, like its history, its unique properties and characteristics, its main chapter is devoted to precise instructions on how to use different shungite products to improve your health and everyday life. For instance, there are examples for practical implementation of shungite pyramids, cubes, spheres, eggs, cylinders and harmonizers etc. At the end of the book the author gives some crucial information on how to battle negative influences with shungite generally and how to lay out shungite items around your household and a few more useful tips for enjoyment of shungite’s energy. This peculiar book is more of a manual for medicinal uses of natural products. The book is divided in three parts, with emphasis on clay, shungite and salt. Chapter about shungite is devoted, briefly, to history, origins and structure of shungite, then the author provides the data on the researches of shungite and how to distinguish fake shungite stones from the genuine ones. Further, the author goes in great detail on how to implement shungite in the healing process. The author states that there are different forms, in which shungite is used in medicine, for example, shungite paste, cream, or shungite water, tells us about the healing properties of shungite stones, pyramids, cylinders, harmonizers and so on, and manages to list all of the illnesses that shungite is capable to combat. Different shungite items are useful for different diseases, but there Is no denial, that this unique mineral is extra helpful in terms of nurturing your health, the author concludes. These and other great books you can find online will help you to gather all the necessary information on the magical mineral of shungite, aid you to determine what type of shungite products suit you the best, and how shungite can help to make your life more healthy and fruitful. Besides, in order to keep up with all shungite properties and benefits, check our shungite blog full of informative and relevant content, compact guides and colorful infographics.